KAC Basketball is an open registration community league run completely by volunteers. Our practices and games are located primarily in the east Honolulu areas between the University of Hawaii at Manoa and Niu Valley. Commitment to an activity is a very important lesson to teach a child, so please consider this when registering for KAC Basketball. The basketball season may overlap with other sports and/or activities, but in fairness to our volunteer coaches and other players, each player is expected to attend all practices and games. Failure to do so may result in reduced playing time. For more information, see specific season information below.  KAC Basketball uses SI Play for player and volunteer registration and payment. To create an account, simply follow the easy online instructions. Enrollment in each division is limited and will be accepted on a first come first serve basis. Priority will be given to volunteer coaches and assistant coaches. Enrollments in excess of division limits will be put on a wait list. Registrations will not be accepted at assessment day. KAC Basketball relies every season on its volunteer coaches to ensure all registered players will be able to play. If you are able to coach, please volunteer during the registration process. The KAC Basketball Board and Directors will be available to answer any questions you may have and provide guidance and help if needed. Determination of a player's assigned division will be based on the player's age as of the date listed below for each season. Player's requesting to move up or down a division must obtain the approval of the respective division director. Register in the player's assigned division and include a request to change divisions in the comments. **NOTE: During the GIRLS SPRING SEASON, a player's final assigned division will be determined by the Director and based on the number of registered players, coaches, and ability. All players in the Pee Wee, Midget, Junior, and Senior divisions (6'ers division exempt) must attend the mandatory assessment day. No shows will be placed at the end of the wait list. Players should be dressed in basketball attire and shoes. Please do not bring a basketball. For assessment day information and additional attendance exemptions, see specific season information below. The registration fee is $90 until the close of registration. A late fee of $15 will be assessed on all registrations after the close date pending enrollment availability. Note: A player's registration is not complete and will not be placed on a team until payment has been made. Parent requests for a particular coach, practice (days, times, locations), and games (days, times, locations) will not be accommodated. Teams are created each season by the respective Division Directors. Intact teams are not accepted in KAC Basketball. Cancellation of a player's registration with refund will be accepted up to the assessment day. A $10 service charge fee will be assessed on all refunds. No refunds after assessment day. UPDATE (MARCH 18, 2019): SEE BELOW FOR ASSESSMENT CONFIRMED DIVISION TIMES. COACHES MEETING: MAY 15, 2019. TIME & LOCATION: TBD. PRACTICES MAY BEGIN: MAY 20, TO BE CONFIRMED. FIRST WEEKEND GAMES: MAY 31, 2019. The KAC Basketball 2019 Summer Coed season is tentatively scheduled to run from May 31 thru August 4, 2019. Registration GENERAL REGISTRATION WILL OPEN ON FEBRUARY 12, 2019. Online registration will open on February 12, 2019 and close on March 22, 2019. Enrollment is limited and will be accepted on a first come, first serve basis. Priority will be given to volunteer coaches and assistant coaches. Players on the waitlist on the day of assessments are encouraged to attend, but not required. Pee Wees – 10:30am - 12:00pm. Midgets – 12:30pm - 2:00pm. Juniors – 2:30pm - 3:30pm. Seniors – 9:30am - 10:30am. Date and Time: Wednesday, May 15, 2019, Time, TBD. COACHES MEETING: MONDAY, MARCH 11. TIME: 6ERS & PEE WEE: 6:30PM; MIDGET & JUNIOR: 7:15PM LOCATION: HAWAIIUSA FEDERAL CREDIT UNION. PRACTICES MAY BEGIN: MARCH 18. 2019. FIRST WEEKEND GAMES: MARCH 31, 2019. The KAC Basketball 2019 Spring Girls season is tentatively scheduled to run from March 24 thru May 26, 2019. Registration REGISTRATION OPEN FOR WAITLIST AND HEAD COACHES ONLY. Online registration will open on December 15, 2018 and close on January 31, 2019. Enrollment is limited and will be accepted on a first come, first serve basis. Priority will be given to children of volunteer coaches and assistant coaches. Location: LOCATION CHANGED TO KILAUEA GYM. VOLUNTEER HEAD COACHES: GOOD NEWS! WE FOUND THE NECESSARY COACHES IN THE SENIORS DIVISION AND WILL HAVE A SENIOR SEASON. WE ALSO SECURED COACHES IN THE OTHER DIVISIONS TO ENSURE ALL THAT REGISTERED ARE ABLE TO PLAY. WE WILL NOT HAVE TO CANCEL ANY REGISTRATIONS THIS SEASON. THANK YOU TO ALL THE PARENT VOLUNTEERS FOR COACHING. COACHES MEETING: CONFIRMED FOR SEPTEMBER 26, 2018 (WEDNESDAY), 7:00PM AT KAIMUKI MIDDLE SCHOOL CAFETERIA. ALL HEAD COACHES ARE REQUIRED TO ATTEND. ASSISTANT COACHES WHO HAVE NOT ATTENDED A COACHES MEETING BEFORE ARE ENCOURAGED TO ATTEND, BUT NOT MANDATORY. EXCEPTION: JUNIOR DIVISION WILL HAVE THEIR COACHES MEETING OCTOBER 1 AT HAWAIIUSA FEDERAL CREDIT UNION, 7:00P-8:00P. FIRST WEEK OF PRACTICES: START WEEK OF OCTOBER 1. PLAYER NOTIFICATION OF TEAM ASSIGNMENT WILL BE SHORTLY AFTER THE COACHES MEETING. FIRST WEEKEND OF GAMES: PEE WEES: OCTOBER 12; MIDGETS: OCTOBER 19; 6ERS & SENIORS: OCTOBER 28; JUNIORS: NOVEMBER 2. LAST WEEKEND OF GAMES: DECEMBER 21-23. ASSESSMENTS: SUNDAY, AUGUST 12, 2018. SEE TIMES BELOW. LOCATION: KILAUEA DISTRICT PARK GYM. ALL REGISTERED PLAYERS WHO DID NOT ATTEND THE 2018 SUMMER SEASON ASSESSMENTS ARE REQUIRED TO ATTEND. CURRENT WAITLISTED PLAYERS WHO DID NOT ATTEND THE 2018 SUMMER SEASON ASSESSMENTS ARE ENCOURAGED TO ATTEND. The KAC Basketball 2018 Winter Coed season is tentatively scheduled to run from October 12 thru December 16, 2018. Registration GENERAL REGISTRATION IS CLOSED. Online registration is scheduled to open on July 5, 2018 and close on August 10, 2018. Enrollment is limited and will be accepted on a first come, first serve basis. Priority will be given to volunteer coaches' and assistant coaches' children. Registered players in the 6ers division are exempt. Players who attended the 2018 SUMMER season's assessment day are exempt. All other players must attend. Pee Wees – 12:30 pm - 2:30 pm. Midgets – 10:30 am - 12:30 pm. Juniors – 2:30 pm - 3:30 pm. Seniors – Senior division will not have to assess this season. Date and Time: Wednesday, September 26, Time TBD. The following is general season information and may change without notice. Closer to the season's open registration date, check back to the homepage for updated season information. Games: TBD. One game per week on Saturday or Sunday at Kilauea District Park Gym. Games: TBD. One game per week on Friday nights, Saturday, or Sunday at various east Honolulu locations.